The 2nd of May 2016 brought to us a celebration of two very recent members to the highly respected Keepers of the Quaich. Enter the Ben Davidson and Sven Almenning show. It is one thing to know this leads on a personal and business level but it is another to be one of the few invited to quite simply celebrate their admission into the Keepers. Ben Davidson is currently the National Brand Ambassador for Pernod Ricard Australia and has just completed his 10 years long service with the company. Pernod Ricard though multinational and multifaceted they are notable in the whisky world for brands such as Chivas Regal, Ballantines, Jameson, Royal Salute, The Glenlivet, Aberlour, Longmorn, Scapa, Strathisla. Sven Almenning is founder of the Speak Easy Group which has notable bars of influence from Sydney through to Melbourne. 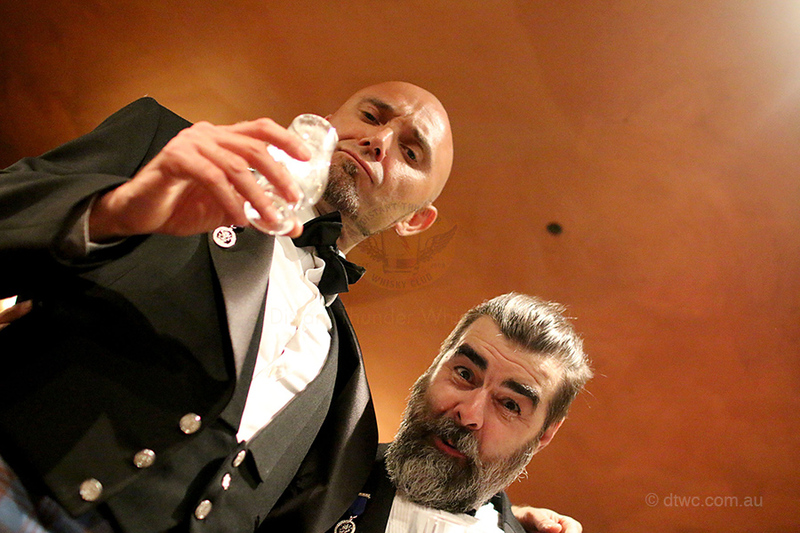 This celebratory gathering was held at Eau De Vie, part of the Speak Easy Group’s Sydney bars. Eau De Vie presents as dark, mysterious yet warm and comforting establishment combined with amazing cocktails, exquisite bar theatre and a backbar that would make many a whisky appreciator cry. 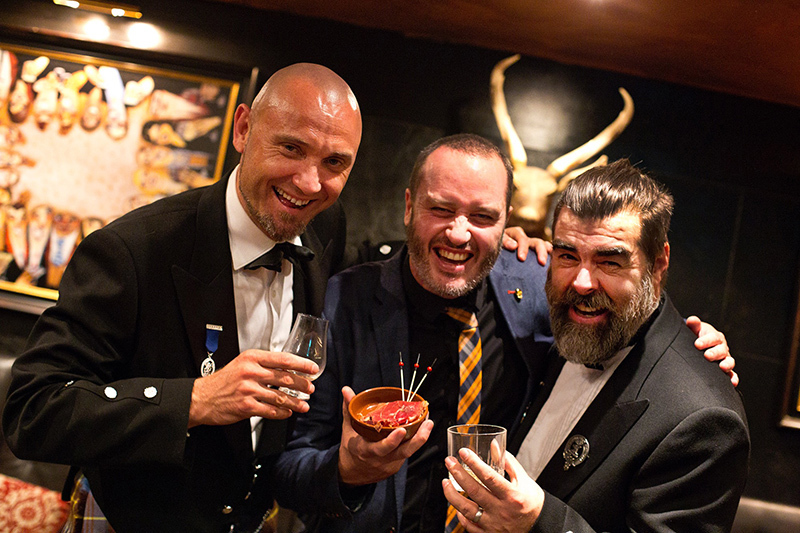 “The Keepers of the Quaich is an exclusive and international society that recognises those that have shown outstanding commitment to the Scotch Whisky industry. Founded by the leading distillers, it is by its very nature, the beating heart of the industry. In establishing the Keepers of the Quaich, the industry pooled its influential resources to build a powerful society working together and united. So what is a Quaich? A Quaich is a wide shallow double dandled drinking bowl. This bowl can be not much larger than a goblet to something the size of serving platter. Highly impractical from an whisky appreciators point of view, the double handle is seen by the Keepers as a sign of respect and trust. Though not bound to the region some historical documentation claims a quaich was made popular in Scotland around the 17th to 18th centuries. Other documentation links its beginnings many hundreds of years earlier. The notion is by drinking from the bowl your hands are indisposed stifling your chances of drawing your sword and shanking your fellow drinker. How true this is can be seen as a point of contention but true or not this is how the story was told and I am not in a position to doubt any of it. 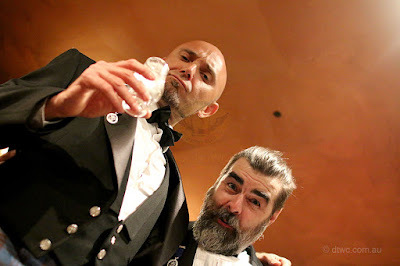 Arriving at the door of Eau De Vie we were greeted by Ben and Sven dressed in their official Keepers dress attire only very recently acquired. As the room opened we were to discover only around 30 or so friends, guests and fellow Keepers to attend a very intimate evening. Before the lads indulged us in a tale of how they were invited to become Keepers including antics on the the trip to Scotland for admittance, we enjoyed a selection of cocktails, canapés, whiskies and classy Eau De Vie bar theatre. Following the presentation including a tasting of various Pernod Ricard whiskies we settled in for a few more whiskies and cocktails as well as some wild tales and rather hilarious photoshoots that we did not have time for earlier on. Even though this was a very private experience I still feel it is one of those whisky stories to be shared to the wider community. I very much feel this honour bestowed on both Ben and Sven is well deserved and a perfect way of acknowledging their involvement past, present and into the future. We have featured many photos but for a complete view of how the night played out be sure to checkout our Facebook album. Sláinte to the boys! Well done and I am sure we will be seeing another party in 10 years when you both ascend to becoming Masters.